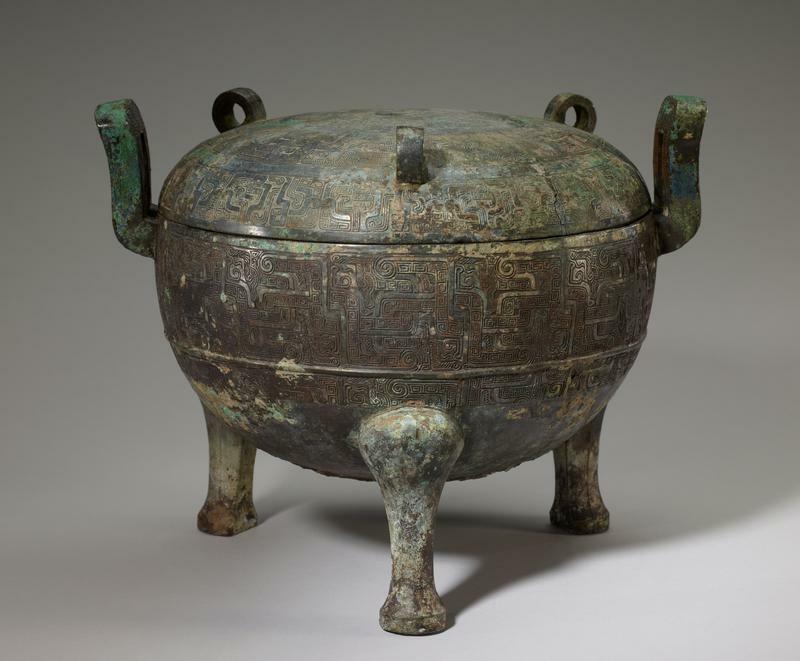 Over hundreds of years, the form and decoration of the bronze ding cauldron evolved from the Shang and Western Zhou style to a new type prevalent during the Spring and Autumn period (c. 770-476 BCE) and the Warring States period (c. 475-221 BCE). In contrast to the earlier ding, the newly fashioned ding showcases a bulbous body that is smaller in size and displays simpler decoration. Its classic domed lid has three looped knobs representing stylized serpents. Archaeological evidence indicates that the casting of ritual bronzes in this form and style originated in the Jin state in present-day Shanxi province.